For those who are all about the little things in life, here are eight tiny pot products that are so random, yet so adorable. On top of the hundreds of strains you have to smoke on, there are also twice as many weed accessories. Some enhance your smoking experience, while others serve no purpose. Or, at least that’s what you might think. But the truth is, anything to do with pot has a purpose. Even the weird stuff, like faux bud earrings. Just because they don’t help get you high doesn’t mean you should look past them. As Johnny Depp said, not all treasure is silver and gold, mate. For those who are all about the little things in life, here are eight tiny pot products that are so random, yet so adorable. 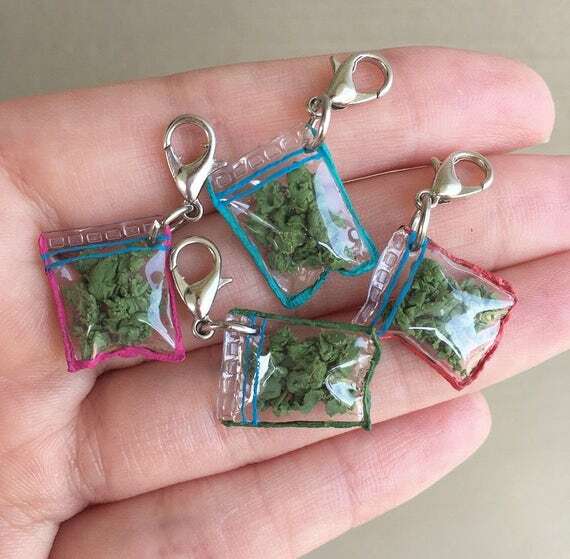 If you’ve ever seen a bag of bud this small, then it’s high time to find a new dealer. 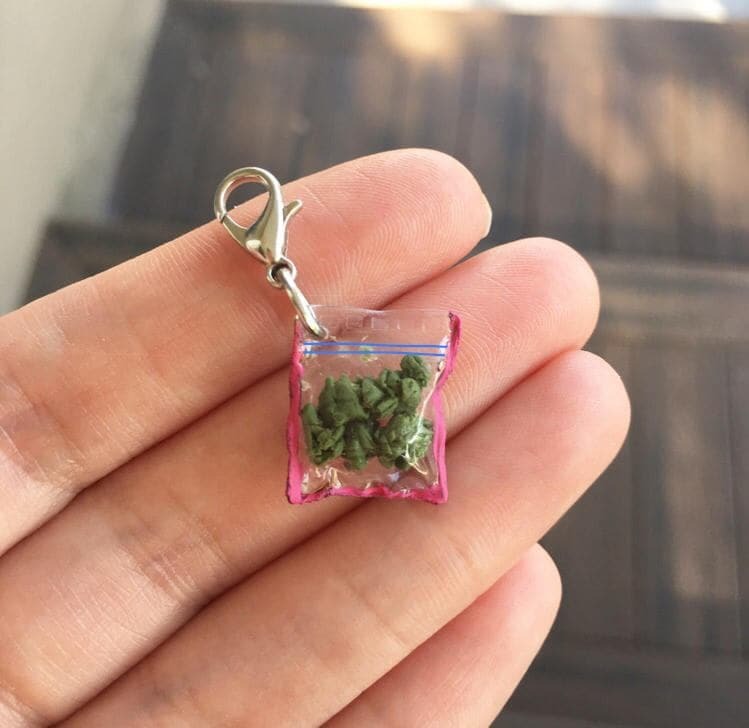 The only time it’s ever acceptable to carry such a tiny amount of ganja is if it comes in charm form, like this baby here. Of course, the goods inside are fake. But you have to admit; it sure is cute. Oh. My. Goodness. Would you look at this presh to death canvas? It’s as little as your lighter and comes with stickers. 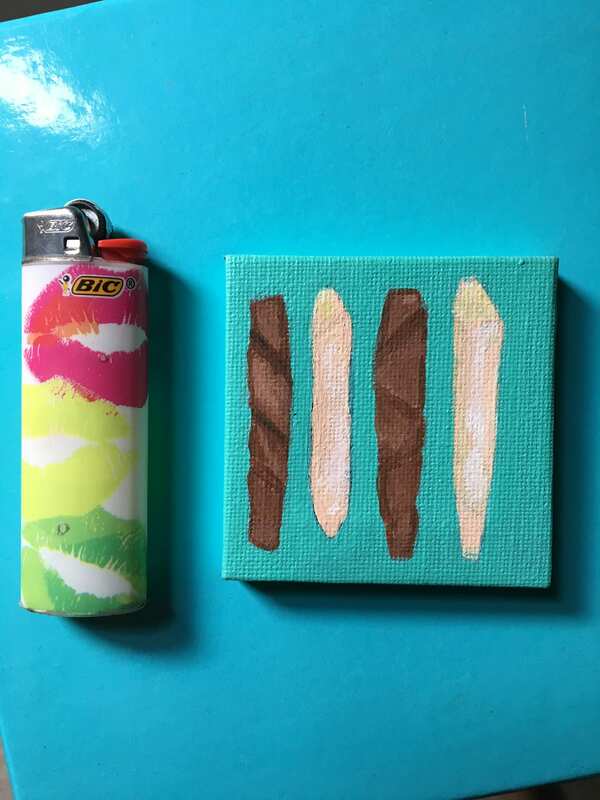 If you love you some blunts and joints, then this handmade item belongs to you. 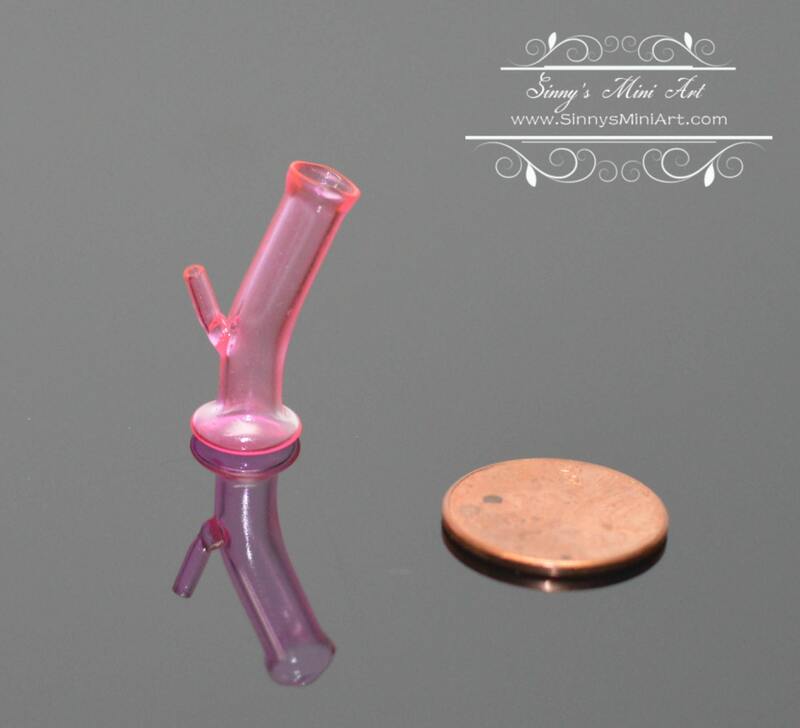 In case you want to see the world’s smallest bong, here you go. No, you can’t smoke out of it. But if you happen to have any dolls, then they sure can. The creator says it’s just for decoration, but we all know what goes on in the dollhouse when you’re not around. 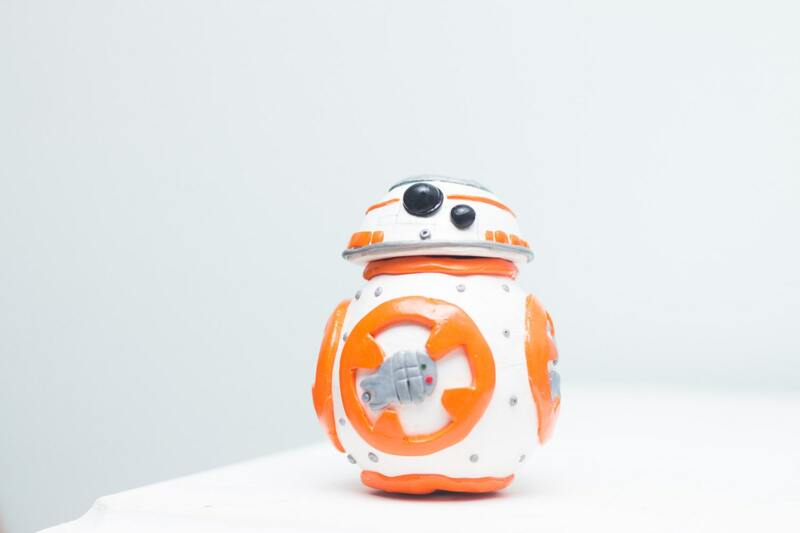 Star Wars fans, have you ever wanted your very own BB-8 droid? If so, then now you can have one. Although it doesn’t move, it can hold on to your pot for you. Now here is a product that will get you lit. Sure, they may not compare to the ones you roll at home. But the high they produce is huge. And for the fancier toker, they also come in gold! 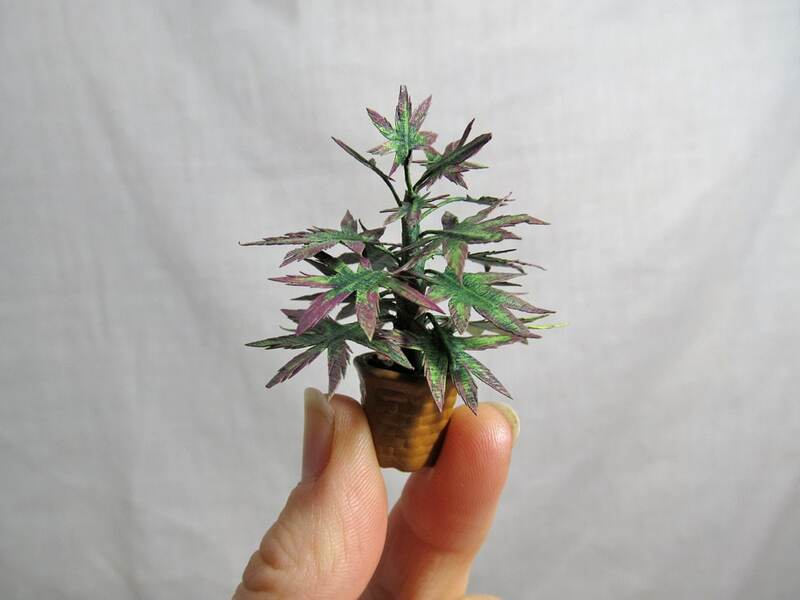 You’ve seen the world’s smallest bong, now feast your eyes on this itty bitty pot plant. It’s a faux plant, of course. But to be so small, it’s quite realistic. According to its maker, it’s a cross between Purple Kush and Sour Diesel. If you want to add a little 420 decor to your desk, then this would be perfect. Or, you could give it away as a gift. In case you and your weed-smoking bestie need matching earrings, here’s a pair of cutesy pipes that scream best buds for life.